Happy New Year! In December, Mike and I had the chance to see Exodus: Gods and Kings, and thought “Hey, we’ve done three episodes over Ridley Scott movies, how about one more?” Is it the next Gladiator or more likeAmerican Psycho? Listen to our review to find out. 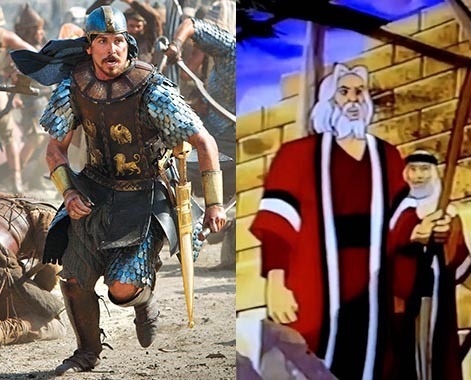 In TV Corner we check out “The Greatest Adventure: Stories from the Bible” at the suggestion of one of the friends of the podcast.